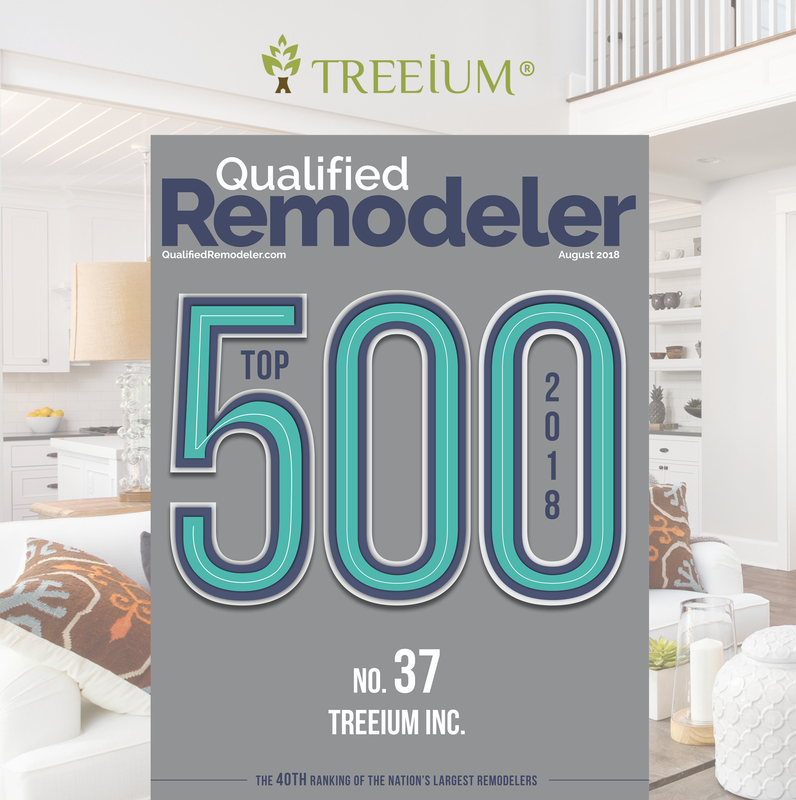 For an astounding sixth consecutive year Treeium Inc., a California based home remodeling company focusing on eco-sustainability, can be found on the Qualified Remodelers Top 500 list. The list is composed of “the Top 500 firms that tend to share several common attributes, including excellent strong revenues, a commitment to customer service, insightful sales techniques and strong customer loyalty,” says Qualified Remodeler owner and editorial director, Patrick O’Toole. Treeium finding itself ranked 37th in the nation and 6th in the state of California has CEO Moty Ginsburg excited as it is an exciting time for Treeium Inc. for they continue their growth and expansion off of the recently announced partnerships with world class KOHLER (as network partner) and industry leading Four Season Sunrooms. “To bear witness to our growth as an organization by extending our reach throughout California while our efforts are not only felt here at home but recognized nationally by being named to this prestigious list is something we definitely pride ourselves in.” Treeium’s Moty Ginsburg was quoted saying and continues on by saying “it is an absolute honor to be recognized by such a renown and distinguished editorial as Qualified Remodeler even just once, so to find Treeium on here for its sixth consecutive year, truly is something special.” The belief that offering the combination of KOHLERs and Four-Season Sunrooms world class products and Treeium’s unmatched customer service will create something perfectly synergetic as Treeium is capable of delivering on time after time and year after year. Remodelers that make the Qualified Remodeler Top 500 list are leaders in various industries such as: kitchen and bathroom remodels, room additions, whole-house remodels, insurance restoration, design-build services and light commercial projects. All the companies included are ranked according to various criteria of success, such as installed remodeling dollar volume, total years in business, industry association membership, industry certification, industry awards and community service. About Qualified Remodeler Founded in 1975, Qualified Remodeler (QR) is the premier publication serving contractors who specialize in residential and light commercial remodeling. QR is mailed monthly to an audience of 80,800 remodeling company owners and executives, architects and suppliers. It was the first publication to serve the remodeling market and is sent to more residential remodelers than any other remodeling magazine in publication. For 40 years, the QR Top 500 has chronicled the story of a vibrant industry that represents more than $300 billion in annual activity. About Treeium Inc. Treeium, a general contracting company based in California has over 27 years of experience with a specialty in full service remodeling. With a keen focus on sustainability Treeium remains customer focused and community centric by maximizing transparency through full project visibility. While using innovative methods and delivering top of the line products, Treeium has become a household name in the home improvement and design industry and is committed to providing the highest level of customer service to each and every one of its clients. Modernizing and advancing the industry by fostering in a culture of innovation, the team of experienced professionals are driven to provide a customer first approach to deliver a quality product that fulfills the products satisfaction guarantee. Striving for excellence, while providing greener solutions, Treeium offers a vast array of full home remodeling services that has assisted our clients in turning their dream homes into an efficient, sustainable, eco-friendly reality.